There’s much to look forward to in the sunny month of June: the end of school, longer days to enjoy and, of course, Father’s Day on June 19 this year. Honoring the Daddies and Granddaddies of the world is always done on the third Sunday of June, and being that this date is just around the corner, many of our families have made special plans already. THIS TOP NANA POST IS FOR THOSE OF US GOIN’ FISHIN’!!! Fishing is the quintessential father/child activity. It’s the perfect opportunity to get reflective, share some quality time surrounded by beauty and nature, and last but not least: bring something home for Ma to fry up. Whether you catch your entrée yourself or buy the fish, my Fried Tilapia Fingers recipe works well with any fillet that’s a firm white catch—just remember to pick up a few choice lemons to squirt on your finished product and garnish the dinner plate. You’ll also need a trusty container of Old Bay Seasoning; it’s the perfect compliment on fish! To kick up your next fish fry Nana Style, you’re looking at catching asomewhere between 8 to 10 tlipaia and/or catfish; you can purchase that amont at an average “per pound” price of about $8. It’s well worth the expenditure! These nibbles are a great snack! Paired with French fries and served with vinegar, it reminds one of an authentic English fish and chips meal. But incomplete, to my mind, without a sweet side (read on!). Because it’s summer and in many places, watermelon is already in the height of its growing season, I like to accompany my Father’s Day fish fry with some fresh watermelon slices, drizzled with olive oil and generously sprinkled with fresh mint. 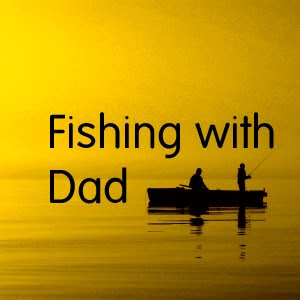 I’m sure Daddy’s and Grandpas are born with knowledge on all things bait n’ tackle, but just in case you’re looking for some pointers that will bring amazing success on fishing day, TOP NANA has one to share. Funny disclaimer first: I saw it on a rerun of Little House on the Prairie! Half Pint singlehandedly overfished the local creek using her ma’s doughball recipe as bait. I found Caroline Ingall’s recipe—it’s a little gross, but makes the fisherman a lot less sqeamish than using live crawdaddies, etc. Whoever readies the troops on Father’s Day, make sure it’s a worthy adventure. Everyday, and right now, espcially, we honor all our Dads and father figures. Happy June everyone—relax and make merry. School’s out for summer!